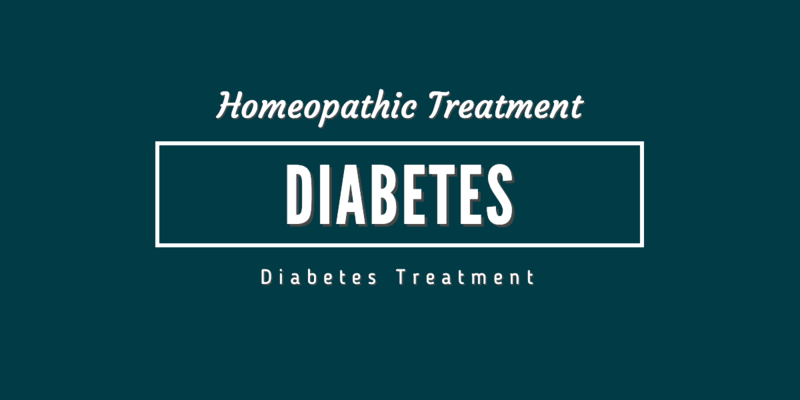 If you are looking for diabetes causes, symptoms and its treatment in Homeopathy, you’re in the right place. Go down and give it a glance. 2 What is Glucose & Insulin? 3 How Diabetes Mellitus develops? Diabetes Mellitus is a metabolic disorder in which glucose sugar level increases in the bloodstream due to the problem with function and less production of insulin by the pancreas. Diabetes is most commonly found in women than men, mostly found in people with age group 25 and more. What is Glucose & Insulin? Glucose is high source of energy for body cells to function properly. Insulin is a hormone produced by the pancreas which helps the glucose entry from blood stream to our body cells. In diabetes Pancrease, produce less or no insulin. Sometimes body cells stop responding to the Insulin as result glucose build up in the bloodstream and enters into urine and passes out from the body. In this way, the main source of energy for the cells to work is lost. If above-mentioned symptoms at present go for a sugar test and visit your doctor. if you are diagnosed with diabetes you can be able to control your symptoms by regular medication, exercise and a good healthy diet. Homeopathy is very effective in the treatment of diabetes because in the homoeopathic treatment overall health of the individual is kept under the eye and more concentration on the actual cause of disease. Because diabetes is a systematic disease and may effect other organs of the body. Diabetes mellitus type 2 is a progressive disorder which must be kept in control by consistent Medication & maintaining a healthy lifestyle. For the treatment of diabetes mellitus, some of the efficient homeopathic remedies are discussed below. When the patient feels excessive thirst and no hunger. When the cause of diabetes is stress and anxiety and muscle weakness. The cause is the best remedy to cure these symptoms. When a patient is suffering from severe constipation and weakness along with kidney dysfunction. Then you can use plumbum metallicum. Patient is feeling immense thirst with dry lips and bad mouth taste. Suffering from the constipation at times, feel tired and lazy all the time. In all these symptoms patient should use Bryonia. Diabetes mellitus due to effects of Scarlet fever and malaria and excessive sugar and phosphate in urine. Irritation during and after urine. Natrum sulphuricum is an efficient remedy in these symptoms. Phosphorus is a beneficial remedy in patients who are lean and heighted. Urine is brown in color, patient suffer from frequent urination along with irritation. Patients with weak and blurred vision. If the patient is depressed, irritated & annoyed use Alpha medicine. Urine is pale yellow in color, glucose in urine. Argentum metallicum is one of the best remedies for sugar patient treatment. Syzygium jambolanum mother tincture is used in treatments of all stages of diabetes mellitus. It is the most effective and beneficial remedy to bring the sugar level down.